Appendicitis refers to the inflammation of the appendix. A sudden inflammation or swelling occurs as a result of blockage of the appendix and this causes infection of the appendix. Appendicular inflammation produces acute pain in the right lower part of the abdomen followed by vomiting and fever. The appendix is an outpouching from the cecum (end of small bowel and beginning of the large intestine). Appendicitis is the most common surgical emergency of the abdomen. It affects about 10% of the population. The condition affects all ages but is uncommon in children below two years. It affects men more commonly than women. The condition is very common between the ages of 10 and 30 years. The complications are more in patients in extremes of age. Left untreated, appendicitis will proceed from mild to severe symptoms. 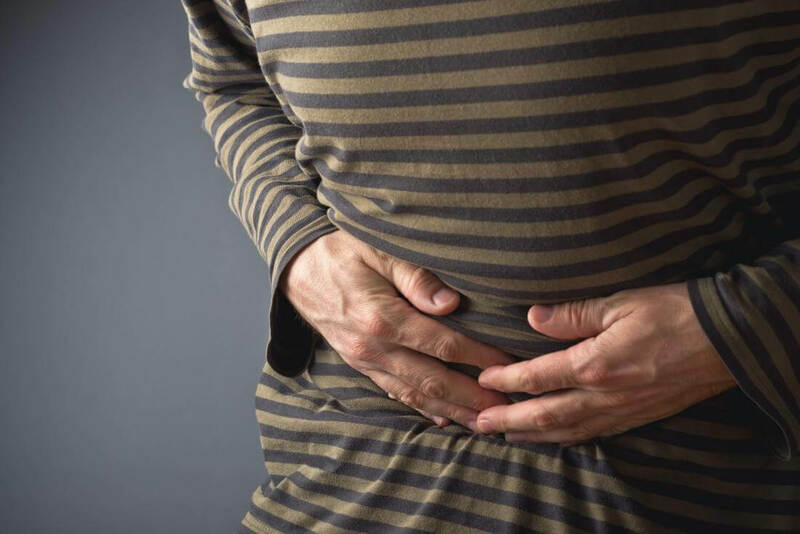 When the infection reaches the entire peritoneal cavity it’s called peritonitis, which is life-threatening. The infection is acquired from the intestine. Blockage of the appendix is the primary cause of appendicitis. The appendix is blocked by intestinal contents, foreign body, tumour, parasites like Ascaris (roundworm). In appendicitis, the organ is swollen and gets filled with purulent material. The initial complaint is vague colicky abdominal pain. Abdominal pain starts around the umbilicus and spreads to right lower quadrant of the abdomen within 12 hours. Pain gets localised to this area and is exaggerated by activities like coughing, sneezing, deep breathing, moving about etc. Patient experiences tenderness and guarding in the right lower quadrant of the abdomen. Nausea and vomiting followed by low-grade fever. Severe vomiting and the presence of high-grade fever are unusual in appendicitis. Alteration in the bowel habits with constipation and at times diarrhoea can occur. The site of pain depends on the position of the appendix. The pain may be localised to the flank or the back in cases of retrocaecal appendix. Blood counts reveal an elevated white cell count. Urine analysis is essential to rule out urinary tract infection, which mimics appendicitis. The diagnosis is clinical and ultrasound examination of the abdomen can accurately diagnose the condition in about 85% of persons. The scan is mainly done to rule out conditions mimicking appendicitis. They are diseases of uterus, ovary, ureter, intestines, lymph nodes and spine. Torsion of the ovarian cyst and Acute salpingitis, inflammation of Fallopian tubes should be considered in young women with fever, abdominal pain and bilateral abdominal and pelvic tenderness. Ruptured Ectopic pregnancy is to be considered if the abdominal pain is sudden and severe and the patient has features of shock. An ultrasound examination and urine test positive for pregnancy are diagnostic. Plain X-ray abdomen may or may not reveal any abnormal findings but useful to rule out intestinal obstruction. Patients with suspected appendicitis should not be fed orally and need hospitalisation for intravenous fluids. Analgesics can be given only after a firm diagnosis as symptomatic treatment can cause diagnostic confusion. Antibiotics are administered to contain sepsis but the definitive treatment is the surgical removal of the appendix. The conventional method is the removal of the appendix by open surgery through a small incision. The patient needs to stay in the hospital for three to four days and sutures are removed after a week. The recent method of removal is by Laparoscopic appendicectomy. This procedure makes use of a laparoscope for the removal of the appendix. The advantages are a shorter hospital stay, decrease in the incidence of postoperative infection, shorter convalescent period and greater cosmetic acceptance. There are no known preventive measures for appendicitis. High fibre diet decreases the bowel transit time and the incidence of appendicitis is lower in those with a high intake of dietary fibre. • The appendix is a small, worm-like appendage attached to the colon. • Appendicitis occurs when bacteria invade and infect the wall of the appendix. • The most common complications of appendicitis are abscess and peritonitis. • The most common manifestations of appendicitis are a pain, fever, and abdominal tenderness. • Appendicitis usually is suspected on the basis of a patient’s history and physical examination; however, a white blood cell count, urinalysis, abdominal x-ray, barium enema, ultrasonography, CT, and laparoscopy also may be helpful in diagnosis. • Due to the varying size and location of the appendix and the proximity of other organs to the appendix, it may be difficult to differentiate appendicitis from other abdominal and pelvic diseases. • The treatment for appendicitis usually is antibiotics and removal of the appendectomy.